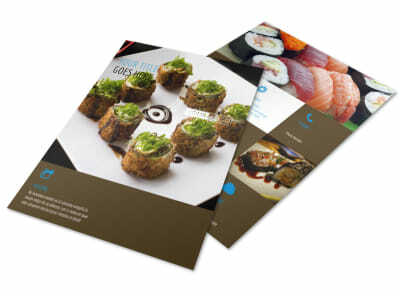 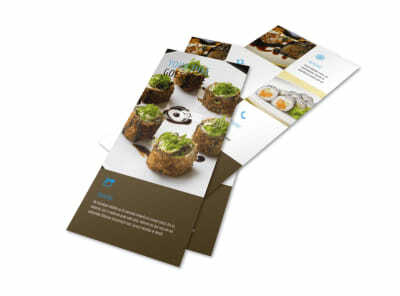 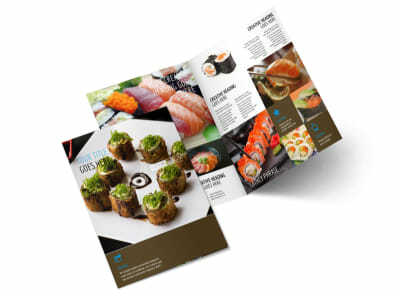 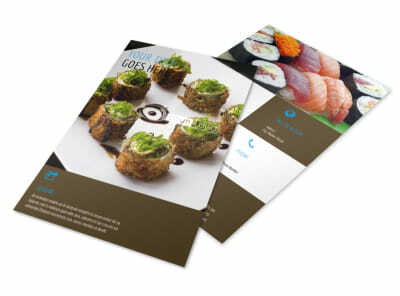 Customize our Sushi Restaurant Postcard Template and more! 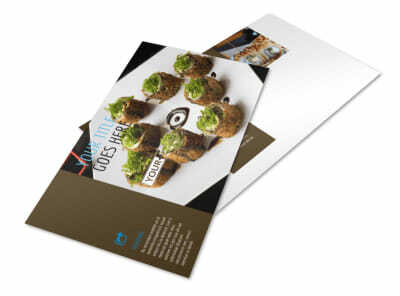 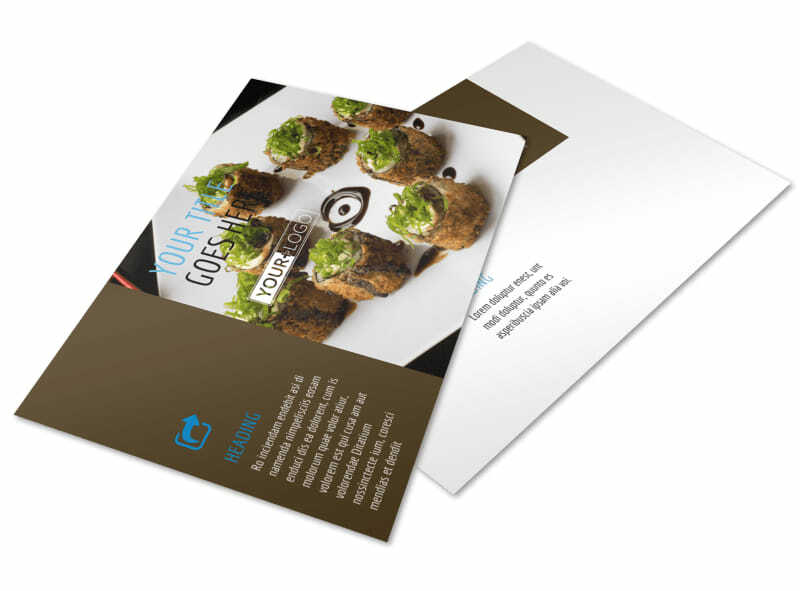 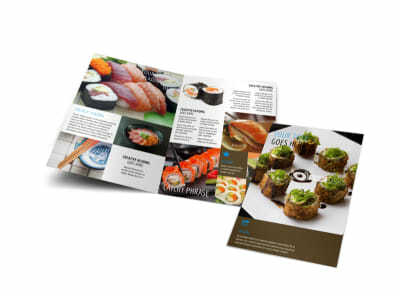 Bring the yum with sushi restaurant postcards distributed to your target market. 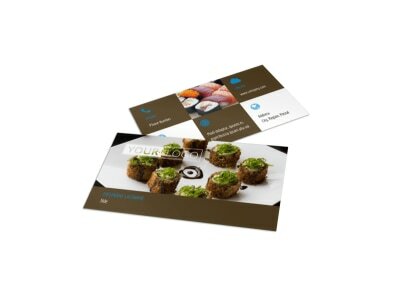 Detail a special or new product offering, offer a percentage off for new customers, or deliver some other message in custom text and using custom artwork, graphics, and photos. 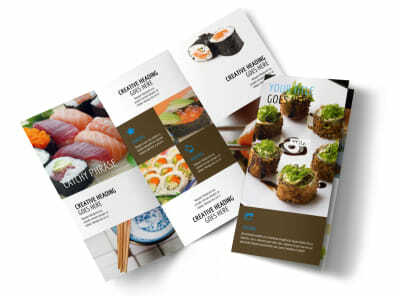 We offer premium print services, or you can opt for instant printing from your own location.